Have high interests in the city sized SUV? 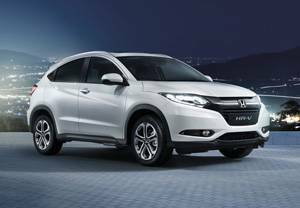 Honda HR-V is exactly the small SUV with big style you are looking for! Whether it be near, far or even somewhere far-fetched, the Honda HR-V is ready and game. A compact SUV that wants to take you places, with features such as a 7-inch colour Touchscreen Audio system, to a multi-angle reversing camera, Magic Seats and more. Still keen to know more about HR-V? Book a test drive and enquire now with Trivett Honda Parramatta in Parramatta through our Service department online.